Police in South Cambs are warning residents using cash points to be vigilant following an incident an ATM in Milton. Customers became suspicious after a machine made some odd noises, and they were unable to withdraw cash. The remains of an ATM skimming device were seized 24/07/2013 from Tesco Milton. Witnesses saw a male and female using a silver Skoda Octavia shortly after the incident who attempted to retrieve the device, but failed as security staff were present by this time. Other methods include dropping a banknote on the floor by the person using the cash point, the idea is to distract you so they can steal your card/ wallet or get the card details. The general advice is if you are not happy with the ATM and feel it may have been tampered with, then go inside the store or building and ask staff to contact the Police. Crime reduction officer Rachel Carr said “We would prefer to come and investigate, than to miss the opportunity and someone is defrauded as a result. 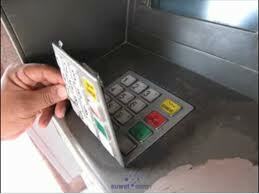 ” Look out for anything that seems out of place, if there are scratches, or if the card holder is loose. Devices are placed on machines for a short time, and if you move, or tap it, it’s likely to come off. This type of activity used to be seen in larger cities but now there is increased CCTV and greater awareness; individuals are targeting more remote locations where they are less likely to draw attention. “We advise anyone who thinks they may have been affected by card skimming to check bank statements for any unusual activity. 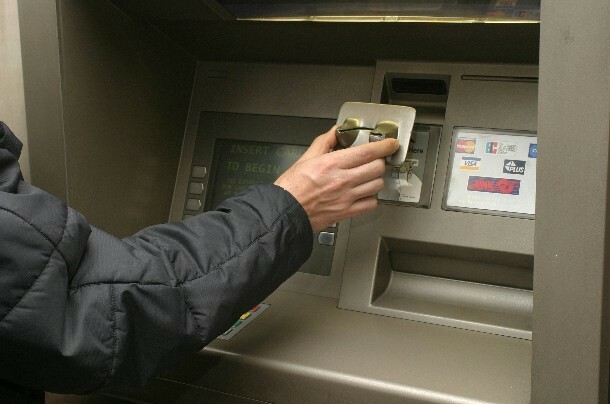 This particular skimming device was only at the cash point for a short time. The crime is currently under investigation. Anyone with information in connection with the crime should call Police on non-emergency number 101 or Crimestoppers on 0800 555111. South Cambs Business Watch and Cambridgeshire Constabulary will be joining Cambridgeshire Countryside Watch for a tack marking session. The event will be held on Monday 29th July 2013,10am-2pm at Stutley Gun and Equestrian Centre, North Road Farm, Arrington, Cambridgeshire SG8 0AB. This marking session aims to help protect valuable tack against theft by permanently embossing the sweat flap of the saddle with a unique code, this contact number will be held on a secure database by Cambridgeshire Constabulary. Your saddle will be uniquely marked and easily identifiable to Police in the event it is recovered. Cambridgeshire Countryside Watch will permanently security emboss it for only £10 per saddle. We will also be offering security advice on a range of topics including other equine related items. Partnership working has led to a large reduction in stack fires in South Cambridgeshire. We would like to know as soon as possible where stacks are located so we can provide advice and suggestions on how to best protect them. We would also like to know the locations where young people are meeting in the vicinity of stacks so that we can engage with them and ensure they understand the risks about starting a stack fire. Finally, we would also like to know where suspicious vehicles and people are seen around the stack storage areas so risk can be mitigated before a fires occurs. If you believe a fire is about to be set, or see anything suspicious call 999. Information can be forwarded either by dialing 101 and advising police operators of the situation who will circulate that information. Or you can e mail jim.meikle@cambsfire.gov.uk or leave a message for Jim Meikle by calling 01223 367201. This month the Constabulary will focus on violent crime, specifically alcohol related violence. Often the result of too much drink, a night out can turn into a disaster for victims. We want to reduce assaults and anti-social behaviour by working with licensed premises across the district. 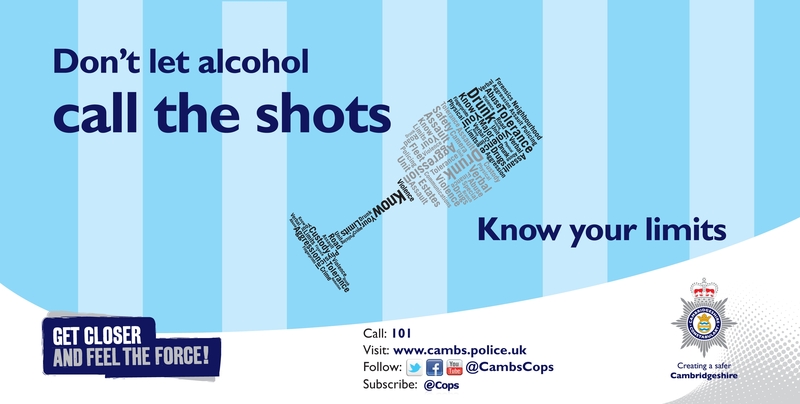 South Cambs has a displaced night-time economy, unlike Cambridge, Huntingdon and Peterborough City centres our licensed premises are spread over a vast areas, and traditional cops on the beat wont always help prevent violent crime. the protection of children from harm. The Constabulary runs a traffic light system, the three geographical Sergeants review incidents and crime at or around licensed premises. Premises are graded in accordance with certain triggers such as violent crime, noise complaints, drugs offences and so on. Should any premises move from a green to amber light, this triggers a visit from the local Sergeant and the licensing team at South Cambs district council. In peak times such as the summer, Christmas and new year SCDC and Police licencing officer patrol together in the evenings visiting licensed premises to ensure they are trading lawfully and complying with their licence terms. Speedwatch teams across South Cambs have been out taking advantage of the good weather. The volunteer groups conduct checks in villages and towns as part of community led education about the dangers of speeding. More information about how we conduct speed checks can be found on our recent blog post by PC Andy Moss. The Histon area panel meeting will be held at 7:30pm on Tues 9th July at Cottenham Village College. If you can’t make it to the meeting, you can complete our online survey, follow the link here. Speeding is a concern raised with us at every public meeting, and we are often asked to carry out speed checks in South Cambs villages. Enforcement work by police officers is one approach to tackling speeding drivers alongside engineering (changing the road layout) and education (changing driver behaviour). There is often an expectation that police officers should be able to carry speed enforcement on any given stretch of road, but this isn’t the case. Some roads are just not suitable for roadside checks as Pc Moss describes below. In such circumstances, agencies might look to one of the other options to address the problem. Pc Moss has written a short diary piece describing the practicalities we have to take into account when officers carry out speed checks which I hope you find informative (although there are not too many trade secrets divulged!). He was accompanied by Pc Nightingale who has recently joined us on completion of her initial training, and both set out to target speeding at locations raised with us by local residents. If you have any feedback on the article then “tweet” us, send us an e-mail via the Force website, or come along to your next panel meeting. My Name Andy and I have been Policing South Cambridgeshire for a while now; several years on rural at Histon, some city centre in Cambridge and a stint on traffic for four years for my sins. Now I am in the new Station at Cambourne. Speeding is a common problem, particularly in rural areas. It is not necessarily speed itself that causes accidents but rather inappropriate speed for the location or conditions; In snowy weather 10 MPH could be too fast, outside a school on at kicking out time, regardless of the weather, 30MPH may be a risk. Whilst common sense applies, a speed limit is a MAXIMUM allowable and not a target to achieve. On Thursday this week, I was tasked to do some speed checks in some areas of concern raised by local South Cambridgeshire residents. Ever keen to rise to the challenge, I started early and picked up the LT20-20 Laser speed detection device, (as it`s is not so commonly known, honestly!) and headed out. First thing to do was check the Calibration certificate on the laser to ensure it was in date and then a check on the scope alignment and accuracy of the laser at a designated range in the yard, followed by a check of the Police vehicle I was using. Lights, tyres, oil and water all ok; kit in the back including cones and signs all in order and I then I headed out. On the way I picked up my colleague, Anna who was tagging along and we made our way over to Barton road in Haslingfield. This is a good location: it is a 30 MPH speed area with a long line of clear sight. Guide lines indicate that an Officer must be not less than 2/10th of a mile, (about 300 meters to those less aged than me) inside the speed limit to give drivers sufficient time to adjust to the new road environment. From a safety point of view If I am going to be stepping into the road to stop a car which is exceeding the speed limit, I want to be seen early and give the driver enough time to stop safely without risk to other road users. This is a major consideration: doing speed checks and stopping cars in the wrong location can pose a risk to everyone and defeat the object. National speed limits in rural areas are particularly difficult in this sense. Even if you manage to stop a speeding car safely, ( bear in mind in this case it could be travelling at 70 or 80 plus miles per hour and standing in front of it with one arm raised dressed all in yellow is just asking for trouble) you have no where for the driver to park while you deal with them without adding to the hazards on the road. Anyway, back to Haslingfield. Laser checked for alignment again at the road side, fine weather, great visibility, good line of sight, safe place to park cars near the curb and we were off. Forty five minutes later, one driver reported for excess speed, several warnings issued, numerous cars checked for insurance and MOT, we headed off to the next location. This was to be Station road in Harston. On the face of it, another good location; a school inside a 30 MPH limit, cars approaching from a National speed limit area and footpaths to both sides. Even as I was putting on my hat and coat I could see cars whipping past in excess of the limit. But it was not to be. The only safe place to park the Police vehicle, with sufficient line of sight for oncoming cars was less that 150m inside the 30MPH limit. It just wasn`t enough. (300m is the guideline as you recall). Still, several drivers were spoken to and reminded that there was a school only 50m away and the road wasn`t a race track. Even as we did the checks, Anna and I were aware over the radios that several “jobs” had come in and our colleagues were being pressed to manage, so we volunteered for one not too far away and headed to that, leaving Harston behind. A little later that shift, I checked the laser again for accuracy and alignment in the yard as is necessary for evidence purposes and put it away for another day. The next day was to be that other day. Once again, Laser, car and kit all checked and I headed off to pick up Anna. Not such a good day today, it was raining. It was June of course and Wimbledon fortnight so not much of a surprise but it was a hindrance. Laser speed checks and rain don`t mix well. For a start it`s wet and the back of my neck has a particular aversion to cold wet rain, but more importantly, it can sometimes, in very heavy rain, effect the ability of the device to “lock on” to a car. It doesn’t mean inaccurate speeds registered but rather the device just saying “Error” all the time. Onwards and upwards as they say, so off to Cambridge road in Coton this time. Another good location with safe parking and a good line of sight in a 30 MPH limit. Laser checked and we stood in the rain. The laser was fine and I am pleased to say no one was exceeding the speed limit today; my favourite result. Lots of people saw us, so the message clear and if no one was exceeding the limit it, our work there was doing its job. Once again, as the morning progressed, more and more “jobs” came in so we resumed from Coton to back up colleagues. There are lots of other locations around South Cambridgeshire with speeding problems for me to look at, so if you see an old Policeman in yellow don`t forget to wave. I`m sure you won`t be going too fast will you?